It is first time that Star Wars elements are built with Feiyue shoes. 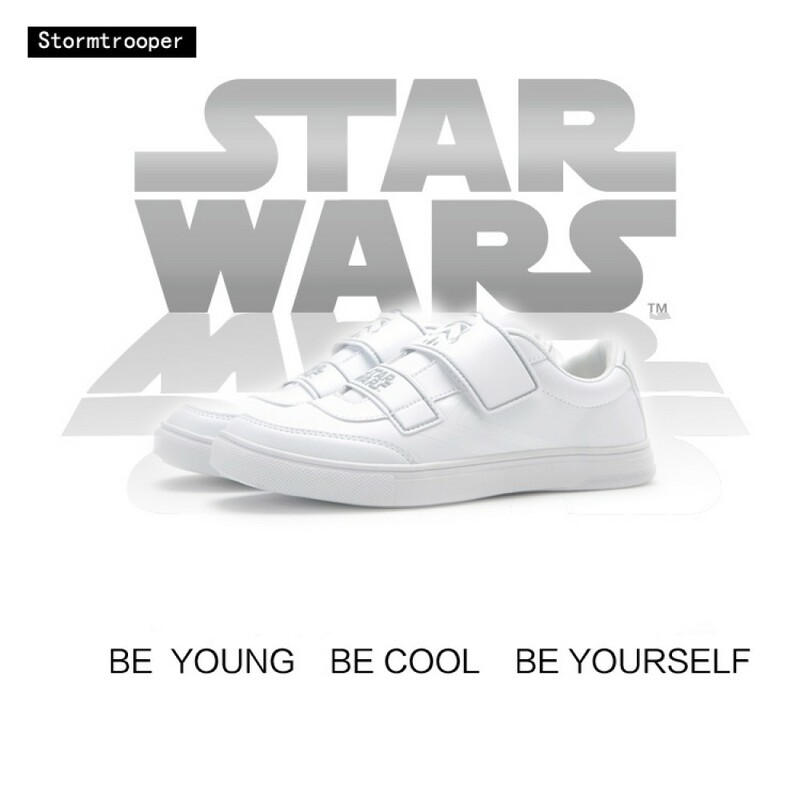 The Low Stormtrooper kicks are produced under Feiyue's aim for be young, be cool and be yourself. Therefore, the sneakers comes best quality and gets much attentions from Star Wars fans, and it is nice for collection, daily casual lifestyle, and sports wearing. Package: Original Star Wars x Feiyue Shoes box and accessory. Following the collabration with Disney, Feiyue bring us this special made shoes to honor Stormtrooper. It comes in Stormtrooper's white colorways with Star Wars logo on tongue, insole and heel. Other details include high top design for more protection, high quality producing details from Feiyue factory, special made Star Wars box, dustbag, socks and insole. Limited release, 500 pairs released. Star Wars x Feiyue High Top Canvas Shoes "Darth Vader"